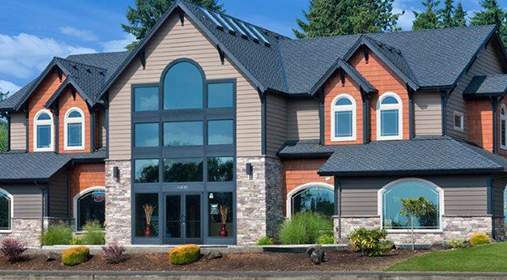 Mark’s Custom Exteriors was established in 1994 by Mark Holcomb and has evolved from a one-man crew to one of the only Nationally Recognized Roofing Companies in the State of Oregon as a GAF President's Club Certified Master Elite Contractor. We achieve this high honor because we have only the very best in-house factory certified technicians, knowledgeable sales team and top-notch office staff. As a business and as individuals, we value teamwork, open communication, employee empowerment, ownership, and trustworthiness. The majority of our team have been with us for over 10 years and we believe the reason for this is our continued appreciation for their hard work and dedication to their craft. We recognize that our employees are the driving force behind our success. Mark’s Custom Exteriors has been a GAF Master Elite Certified Contractor since 2011 and has held the elite President’s Club Status since 2014. Master Elite Certification is GAF’s assurance that the roof will be completed professionally and with quality. GAF is North America’s largest roofing manufacturer and only GAF Master Elite Contractors can compete for the President’s Club Award. Along with our Master Elite status, the President’s Club signifies that we meet high expectations committed to performance, reliability, and service. Only 3% of ALL roofing contractors nationwide receive this prestigious honor of Master Elite and only 2% receive the President’s Club award. As one of only two companies in the State of Oregon who received this prestigious status, we can continue to offer excellent craftsmanship with the best products and service. To provide premier exterior assemblies in a manner that creates trusting and lasting relationships with our customers. As a business, and as individuals, we value teamwork, open communication, employee empowerment, ownership, and trustworthiness. We are committed to being a leader in our industry by exceeding our customers’ expectations. Our dedication to our customers is shown through our commitment to gaining their trust and building a lasting relationship through outstanding customer service, expert craftsmanship, and professional behavior and appearance among every member of our team. 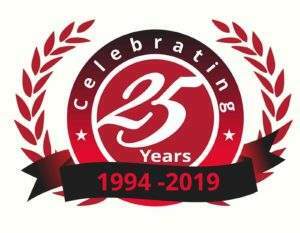 Established in 1994 by Mark Holcomb, Mark's Custom Exteriors has evolved from a one-man crew to one of the only Nationally Recognized Roofing Companies in the State of Oregon (GAF Presidents Club and Master Elite Contractor*). We achieve this High Honor because we have only the very best In-House Certified Roofing Technicians, Extremely Knowledgeable Sales Team and Top-Notch Office Staff. Many customers refer to us as a well-oiled machine. Our team has found that working with the Best Roofing Technicians in the industry and the Best Products in the industry equals Exceptional Quality and Service with every Roof Replacement. We proudly offer our Roofing Services, Replacement and Maintenance from the Oregon Coast to Portland. *Master Elite® Certification is GAF's factory certification program that provides ongoing training to roofing contractors and assurance to you that the roof will be completed well and professionally. Only 3% of all roofing contractors have qualified as Master Elite® Choosing a GAF Master Elite® contractor is your assurance that you'll be dealing with a quality, and dependable professional contractor not some "fly-by-nighter". Mark and Angie owners of Marks Custom Exteriors began their journey together in 1989. Mark started his career in construction working with a Portland area Building Supply Company doing warehouse duties and job site deliveries. He was eventually promoted to sales. It was then that he discovered his passion for Sales but had a strong desire to begin his own company. In late 1993, one year after their marriage, the couple decided it was time for Mark to follow his dream. He resigned from his position and began preparing to start his own business. 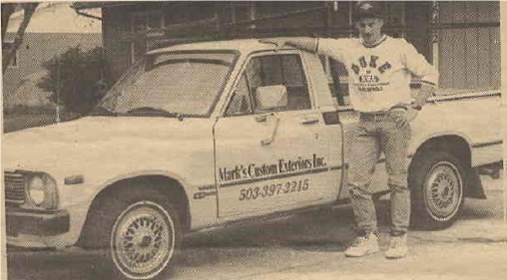 In 1994, Marks Custom Exteriors was established, one man, one truck and a vision. He did it all, sales and installs. In 1997, Angie began working with her husband full time at MCE. Mark remains a Salesman; he feels it’s important for him to stay involved in all aspects of the company. Customers appreciate meeting with him and he appreciates building relationships with them. Angie is involved in the management of the office. They feel fortunate to be able to work together every day and take great pride in all they have built together.